Do you feel like your client proposals could be stronger, but you're not sure how to improve them? Are you spending too much time editing or rewriting other people's copy? If the answer to any of these questions is yes, the In-House Writer can help. The PR Writing Tune-UpTM is a customized, one-day, onsite training program that teaches working publicity professionals how to write more effectively and efficiently. Using real-world examples from your company's current workflow, the course covers the key skills and concepts every publicist should know today in order to create better-written, more compelling press releases, pitch letters, new business proposals, press kits, bios and other materials. The PR Writing Tune-UpTM was created by Andrew Hindes, one of the most sought-after PR copywriters in Los Angeles, in response to his clients' requests for a quick, cost-effective way to enhance their staffs' writing abilities. As president of The In-House Writer and a former journalist, Hindes has spent nearly two decades discovering what works—and what doesn't—when it comes to helping writers and non-writers alike produce their best work. Now he is sharing these secrets using a lively, interactive curriculum he created specifically for PR agencies and in-house publicity departments. Not just a "Public Relations 101" writing class, or a lecture on grammar, The PR Writing Tune-UpTM was designed as an instructional "booster shot" for publicity professionals who want to hone or refresh their written communication skills. Drawing on his background as an editor and reporter, Hindes has created a course that helps public relations writers see the writing process from the perspective of the journalists they hope to reach. 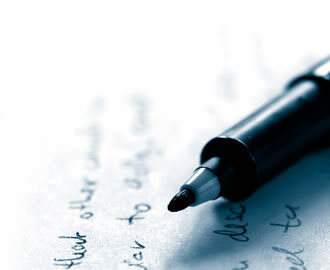 And to make sure the material we cover applies to your company's needs, the classes are custom-tailored to your firm's writing style and requirements. The PR Writing Tune-UpTM is a small investment in your staff that can lead to big payoffs in terms of media coverage, press relationships, client satisfaction, staff productivity, employee morale—and your own sanity! For pricing or to learn more about how The PR Writing Tune-UpTM can help your team write better press materials and client proposals in less time, email us or call Andrew Hindes at (323) 256-4950.